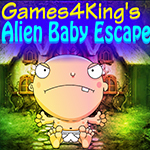 AjazGames Escape Kerala Malabar is the new point and click escape games from AjazGames. Kerala s the Indian Malabar Coast has nearly 550 km of Arabian Seashore line. This Kerala family gets lost, help them to rejoin, solve the puzzles and clues for the great escape. wish you all best good luck, have fun!! !